Callie set includes a necklace and earrings. 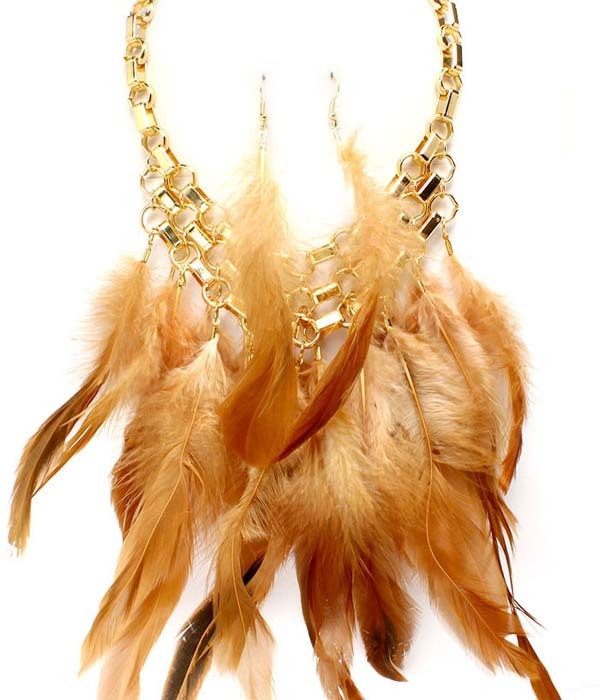 The necklace features unusual box gold tone chain in three rows, unobtrusive feathers of light brown shade. The earrings have a long pendant feather on a hook fastening. Order this gorgeuous necklace now from Australia's fastest growing online jewellery store.